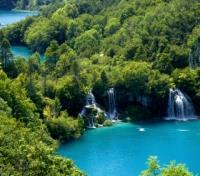 Experience the natural splendor of Plitvice Lakes National Park. Embark on a boat ride into the mysterious Blue Cave of Bisevo. 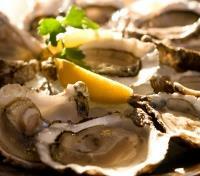 Enjoy a wine tasting followed by an oyster tasting in Ston. 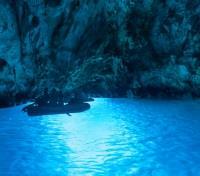 Clamber aboard a small fisherman’s boat and get set for the voyage of a lifetime as you enter the deep, dark waters of Blue Cave at Bisevo island where the Adriatic sun puts on a stunning show of dancing gold and illuminated azure. This incredible visual display is matched only by the beauty of the Adriatic’s other remote islands. 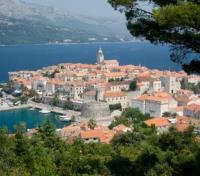 Visit Korcula which is believed to have been settled by a Trojan hero in the 12th-century B.C. 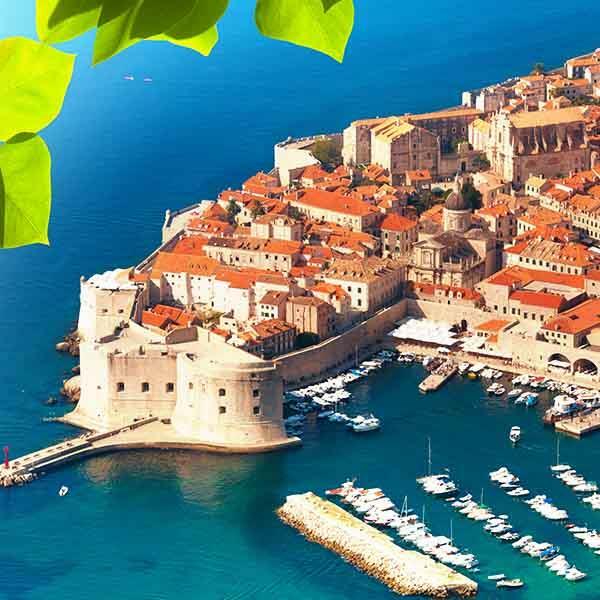 ; discover why the island of Vis was considered the jewel of the ancient Greek empire; and soak in the history and merchant spirit of Hvar which lies in the heart of an ancient sea route. 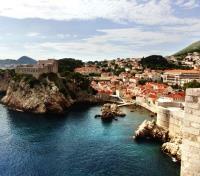 In Dubrovnik, take a walking tour of the ancient walled city where you’ll encounter incredible monuments to the past – including the Cathedral of the Virgin Mary, Sponza Palace and a Franciscan monastery – and experience the natural grandeur of the reflective lakes, waterfalls and cascades of Plitvice Lakes National Park. Enjoy your private airport transfer to your hotel with vehicle and driver. For your added comfort, an English speaking assistant will help you to check in and walk you through the welcome package documents, your itinerary and answer your questions. An English-speaking guide will meet you at your hotel and take you on a private walking tour to explore the city that is dominated by the Diocletian’s Palace, a UNESCO World Heritage Site, and explore the historical part of the city. The Palace is one of the most famous and integral architectural and cultural constructs on the Croatian Adriatic Coast. Visit the Silver Gate, the Cathedral, and the Bell Tower of St. Dominus. 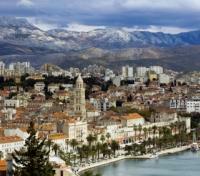 Discover the waterfront promenade of Split, the lively open green market and the monuments not only from antiquity, but also from the Middle Ages, Renaissance, and Baroque periods. Entrance fees to the Diocletian's Palace substructure and Cathedral are included. After the tour, you will have some time at leisure to immerse yourself in the town’s famous Mediterranean charm. This morning meet your private driver for a 2.5 hour transfer to Plitvice Lakes, the most famous National Park in Croatia, and designated UNESCO World Natural Heritage. The beauty of the National Park lies in its sixteen lakes, inter-connected by a series of waterfalls, and set in deep woodland populated by deer, bears, wolves, boars and rare bird species. The lakes are renowned for their distinctive colors, ranging from azure to green, grey or blue, with the colors changing constantly depending on the quantity of minerals or organisms in the water and the angle of sunlight. The waters flowing over the limestone and chalk have, over thousands of years, deposited travertine barriers, creating natural dams which in turn have created a series of beautiful lakes, caves and waterfalls. Meet up with your private guide at the park and discover the mesmerizing ever-changing landscape – created by water, gravity, limestone and time – in this unique park of nature. The watery wonderland will seduce you and you will never want to leave. Your guide will take you through the park by a well-laid out system of wooden walkways that allow you to experience the best of your visit. There are different walking paths – the easier ones and the more demanding ones – so you can choose a path that best suits you. In the afternoon, your driver will take you back to Split. Porter service between the port in Split and your hotel is provided. Join a small group tour to Vis and Bisevo Island by motorboat. The island of Vis is one of the most remote of all the Adriatic islands, an island considered to be a jewel by the ancient Greeks. After a pleasant cruise, you'll arrive to the islet of Bisevo, part of the archipelago surrounding Vis. From here you'll enter the undisputed main attraction of Bisevo, the Blue Cave. The cave is a natural phenomenon that can only be entered by small fishermen’s boats. Once inside, you'll be amazed by the remarkable blue color, created by the reflection of sunlight entering the cave through the sea. You'll continue onward to the spectacular Stiniva Cove, a small secluded stretch of pebble beach and turquoise sea nearly entirely encircled by towering limestone cliffs. You'll also get to see the picturesque Green Cave at the edge of a promontory of Vis Island before returning to Hvar. Enjoy a shared transfer by catamaran from Hvar to Korcula. Approximate travel time is 1 hour and 15 minutes. 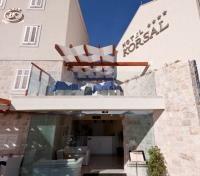 The newly opened family run Hotel Korsal is located right next to a nice beach in a peaceful area offering a great vacation in the millennial town of Korcula. The luxurious rooms, furnished with natural materials and overlooking the sea are a synonym for comfortable accommodation and hospitable staff. Feel the taste of South Dalmatia on a comfortable terrace of the restaurant just a few meters from the sea. Hotel Korsal offers activities for you to indulge in the harmony of history, untouched nature, sun and sea. 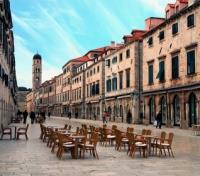 Enjoy a half day privately guided walking tour of the Old Town of Korcula today. This secluded part of the world is known as the home town of Marco Polo – the first world traveler. This is where his silk road began. With more than 2000 years of history, the former Greek colony of the “Black Korčula” (Korkyra Melaina) resisted the sieges of centuries and remained a living monument. Through the narrow cobblestone streets you will come to the Cathedral of St. Marko, an architectural masterpiece in Gothic and Renaissance style. Its construction is an admirable testimony of the artistry of the local stone masons and the excellent adamant stone of the island. The Cathedral’s Abbatial collection abounds with exhibits from Greek and Roman period, as well as with peculiar artifacts of recent history.You will also visit the Museum of Icons with the unique collection of Byzantine Icons and ceremonial pieces. The exhibits are primarily collected by 17th and 18th century Korcula sailors on their journeys around the world. Your stroll will finally take you to Marko Polo’s childhood home – a modest medieval house where this great Venetian merchant, writer and traveler spent his former years. Entrance fees for the Cathedral, Abbatial collection and Museum of Icons are included. This morning meet your driver and guide for your full day transfer to Dubrovnik. Enjoy the scenic ride from Korčula where you will take a short ferry ride to Orebic. On your way towards Dubrovnik, you will pass through the peninsula of Pelješac, one of the best wine-growing regions in Croatia. The rugged terrain and rocky coastline create a dramatic backdrop to the cultivation of centuries-old vines. In the small villages of Peljesac Peninsula, you will enjoy wine tasting at two of the most of the most renowned wineries Korta Katarina and Milos winery. After the wine tasting, you will continue to Ston. 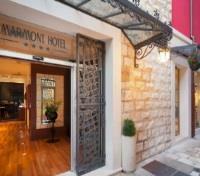 Your guide will take you for a stroll through the town of Ston – famous for its defensive stone walls. As it was an important military fort of the Dubrovnik Republic, Ston was protected with 5 km-long medieval walls, the biggest city walls in Europe. The walls protected the precious salt pans that contributed to Dubrovnik Republic's wealth. The history of the salt works in Stone lasts for more than 4,000 years. It is the oldest salt mine in Europe, and among the working ones, the oldest in the world. Your guide will take you to visit the salt pans, as well as impressive Ston city walls. Ston is also known as a paradise for seafood lovers. You will take a private tour of Ston oyster farm by a traditional fisherman boat with oyster tasting. Enjoy a glass of wine and oysters in a unique way, as the oysters will be taken from the sea right in front of you. 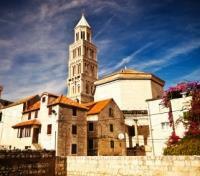 After the tour, you will continue your scenic ride to Dubrovnik along the beautiful Dalmatian coast.